This mesmerising camp is guaranteed to bring out your inner child as you explore the labyrinthine camp walkways that create a magical treehouse-like atmosphere. 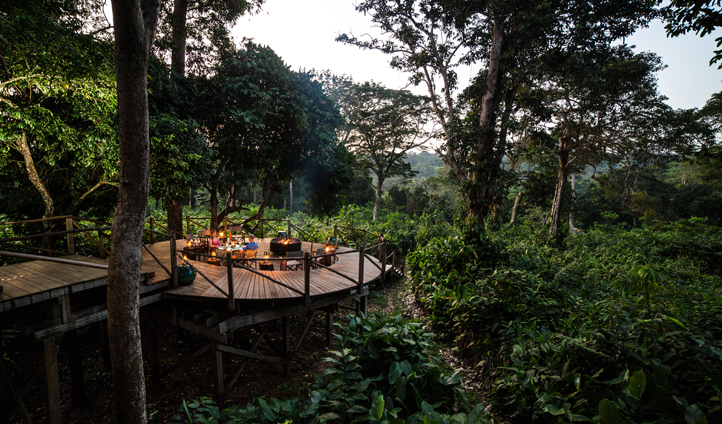 The six rooms here are built high up in the dense forest and with stunning 360 degree views of Lango bai from a wraparound balcony, you will truly feel at one with nature. Lango Camp is the perfect place for a literal splash of adventure, with activities here ranging from kayaking down Lekoli River to wading up Lango Bai. Whichever you choose, be prepared to come back a little muddier and a little damper than when you left, but that’s nothing a hot shower in your en-suite can’t fix. 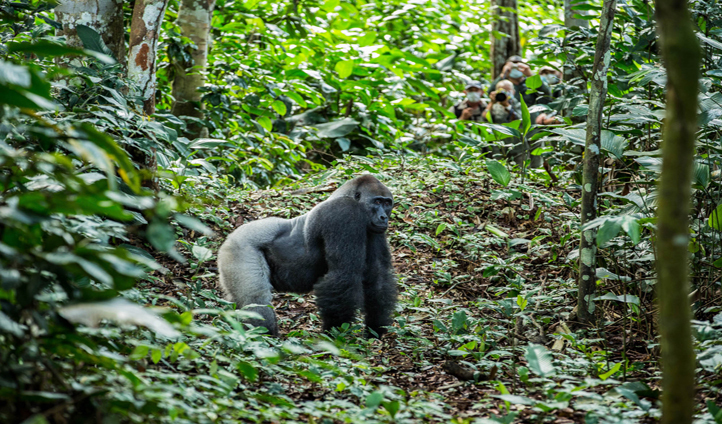 So get stuck in (literally) as you discover the wildlife-rich riverine forests of Lango, home to Bongos, Sitatungas and Red River Hogs as well as a myriad of colourful birds. The largest of the three camps, Mboko is perfect for families, with two of the 12 rooms sleeping up to four people. Each of the canvas cabins are built alongside the Lekoli River, a favourite watering hole of Forest Elephants, so don’t be surprised to walk out onto your private deck and spot one down below. The camp is also full of lovely little nooks to unwind in and share stories at the end of the day. We absolutely love the River Deck on the Lekoli where you can feel the rigours of jungle life melt away, with your toes in the water and a drink in your hand. Bliss. In the evenings, head down to the star deck where you can enjoy a drink around the fire pit before a mouthwatering dinner overlooking wide open grasslands.